Shopping trends come and go. But to be successful online, you need to understand the factors that influence the ways in which consumers purchase your services or products. Along with the internet itself, social media, analytics tools, and E-Commerce have all transformed the global marketplace. Today, E-Commerce continues to change global shopping trends in ways that impact a wide range of industries. The following gives you a fundamental understanding of these changing trends so that you can position yourself as a leader in your industry and secure long-term success. E-Commerce has grown in large part due to the ease with which businesses can sell their products and services online. This allows small business owners to reach a global market while empowering large businesses to have greater access to their growing customer bases. By selling their products online, companies provide greater value to individuals all over the world. This presents many new opportunities and challenges. The low level of risk of E-Commerce gives you the chance to build and grow a successful business online with relatively little capital, but the lack of needing a traditional brick-and-mortar business storefront is just one of the ways that businesses like yours can leverage the ease of E-Commerce. The availability of global shipping companies has also fueled the growth of E-Commerce and changed today’s global shopping trends. This allows you to reach a much larger pool of customers. In addition, many foreign countries present huge opportunities for businesses that want to go global. Countries such as China have a growing class of people who can afford your products and services. More importantly, many people abroad prefer to make purchases online. Businesses like yours can also leverage tools that will translate your website and ensure smooth payment processing for foreign currencies. If your business can provide safe and reliable payment processing for customers, you’ll be well on your way to growing your business and building a global brand. The use of mobile devices has propelled E-Commerce to a new level of potential reach. Businesses can now reach and sell to customers wherever they are. Individuals can now buy your products and services from anywhere, and your online store makes it easy for current and future customers to make a purchase at any time and from anywhere, which creates a significant boost to your bottom line. This makes mobile SEO an important and growing area of interest for all businesses. 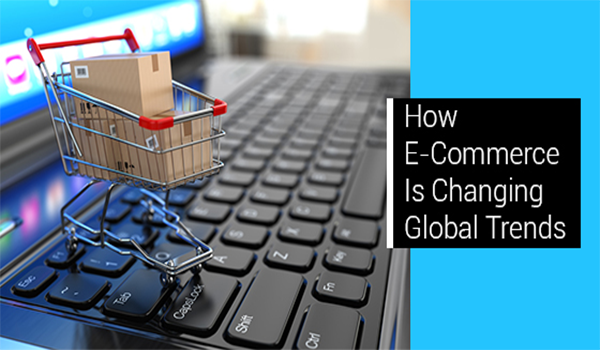 As new payment technologies, E-Commerce platforms, and marketing strategies develop; the global marketplace will continue to evolve alongside the growth of E-Commerce. Understanding these and future changes gives you greater flexibility in optimizing how your business sells its products and services to the world.